Along with the next generation iPhone the word is Apple will deliver a cheaper versions of the iPhone, a device that is currently being called the iPhone 4S and it is expected that Apple will launch the iPhone 4S along with the iPhone 5 sometime in October, with recent reports claiming the cheaper version will be an 8GB model, but what about other differences? 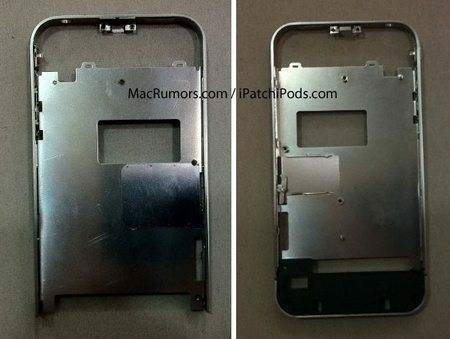 Well what we have here courtesy of the guys over at MacRumours is what is claimed to possibly be, the frame of an iPhone 4S that is the real deal shows that Apple has now decided to move the 2 antenna gaps on the device to the bottom of the frame. As you are no doubt aware the current Verizon iPhone 4 has both these antenna gaps at the top of the handset while the AT&T iPhone 4 has one on the top left side and the other at the bottom left side, the reason for the difference between the two iOS smartphones is due to the different frequencies. According to the article this iPhone 4S fame also has a SIM card slot, which would suggest the handset is GSM just like the AT&T iPhone while the volume and mute switch on the new frame remain in the same original place. Recent rumour speculated that the iPhone 5 would be a dual mode world phone supporting both GSM and CDMA; however there has been no word on whether the iPhone 4S will also support both bands. Furthermore there appears to be some confusion as to whether the iPhone 4S will sport a home button as the bottom piece of the frame doesn’t define a home button area, so it is possible the iPhone 4S may have a capacitive one or some other redesign. 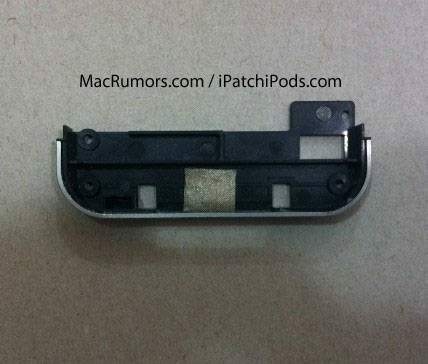 However according to the report, the guys over at iPatchonline believe this frame is meant for the new cheaper iPhone 4. So there you have it, could this be the frame for the cheaper iPhone 4S model, perhaps destined for Sprint as recent reports say that the iPhone will be coming to both Sprint and T-Mobile sometime in October.